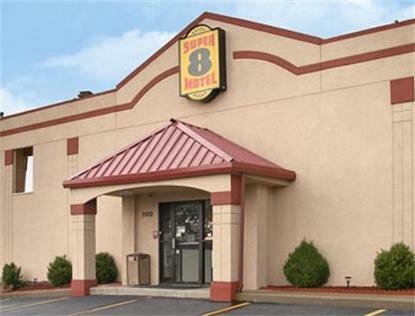 The Super 8 Brownsburg/Indianapolis is conveniently located off of I-74 at Exit 66, with easy access to I-74 and I-465 the Indianapolis outer belt.The Super 8 Brownsburg/Indianapolis is an all Exterior Rooms Property and offers a Free SuperStart Breakfast to every guest. The Super 8 is just a short 20 minute drive to downtown Indianapolis which is home to the Childrens Museum, Indiana Convention Center, RCA Dome, Conseco Fieldhouse, and all that downtown has to offer in shopping and restaurants. The Super 8 Brownsburg is also just 10 minutes away from Indianapolis Raceway Park and only 15 minutes away from the Indianapolis Motor Speedway, home to the Indianapolis 500, NASCARs Allstate 400, and the U.S. Grand Prix Formula One Race.The Super 8 Brownsburg/Indianapolis offers 25 inch TV in every room with Cable including HBO. Clock Radios, Hairdryers,Free High Speed Internet and some rooms with refrigerators and microwaves will make your stay more comfortable.